Building on speculation is risky. The easiest way to cut the risk is to build what everyone else is selling and compete on features, prices, and service. Italian superyacht builder Baglietto didn’t hedge any bets when it built the house-named Baglietto 46m Fast on speculation. 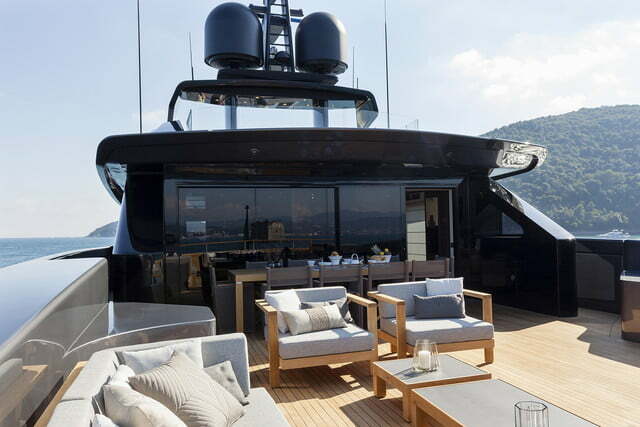 What some may see as a gamble paid off when a European buyer bought the yacht in February and didn’t ask for any layout changes. The owner re-named the yacht Lucky Me, which is a story itself. 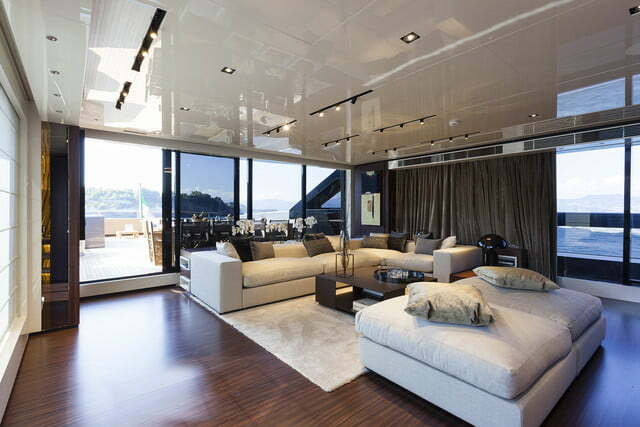 Lucky Me is a fast displacement 46.3-meter yacht (just under 152 feet). 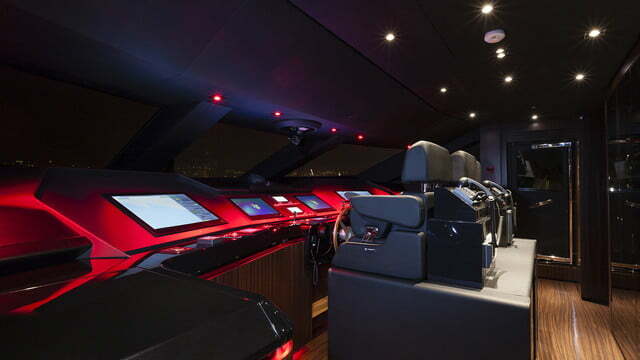 She has a 26-knot maximum speed and 20-knot cruising speed with two MTU 4,615 horsepower diesel engines. Maximum cruising range is 1,000 nautical miles with a full 20,605-gallon fuel load. That works out to almost 21 gallons per nautical mile. Fast displacement vessels have hulls that split the water as they move forward, whereas regular displacement hulls push the water. 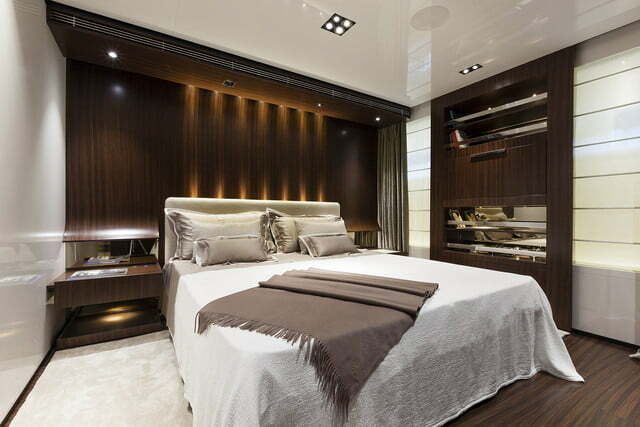 The 27 Wallyace, for example, is a displacement yacht. Another factor in Lucky Me’s relatively high speed is the hull has a draft under 7 feet, which means there’s less boat to drag through the water — the shallow draft also gives her access to shallow waters where other large yachts can’t go. Each hull type has its advantages — it depends on what you want. Fast hulls are, you guessed it, faster than full displacement hulls. 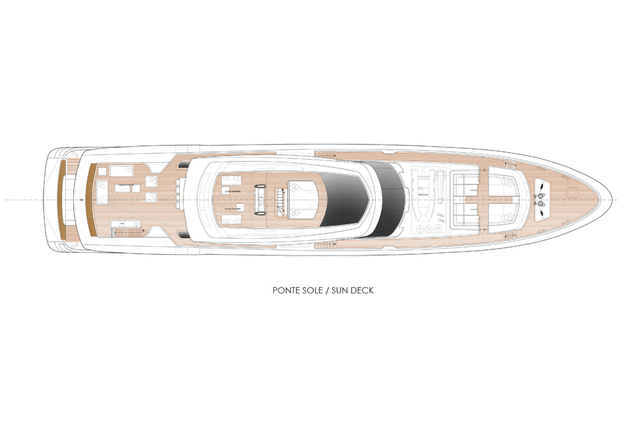 A full displacement yacht gives a more stable ride and provides more living and play space because the hull doesn’t come to a point at the bow. Lucky Me has stabilizer systems that work while underway and at anchor. But her hull design isn’t why the Lucky Me was a risky build. 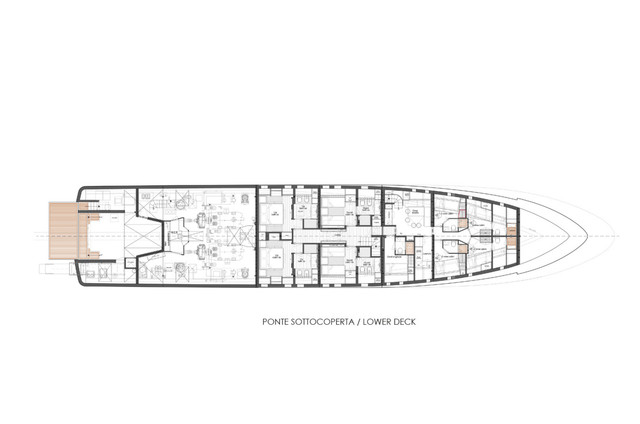 First, ask what color a typical yacht should be, and most people would probably say “white.” Baglietto chose a lead gray shade for the hull. 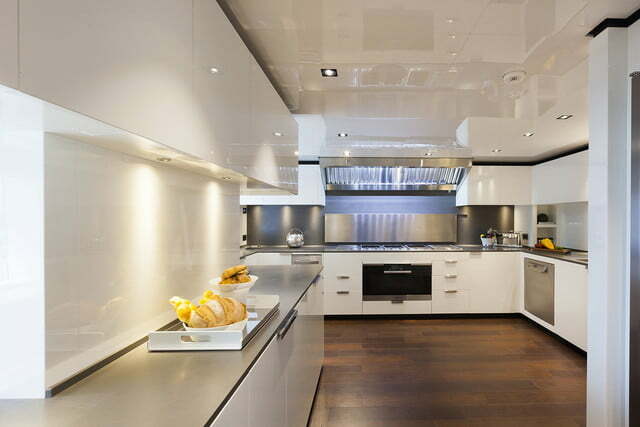 The hull is highly streamlined and quite narrow for such a large yacht. 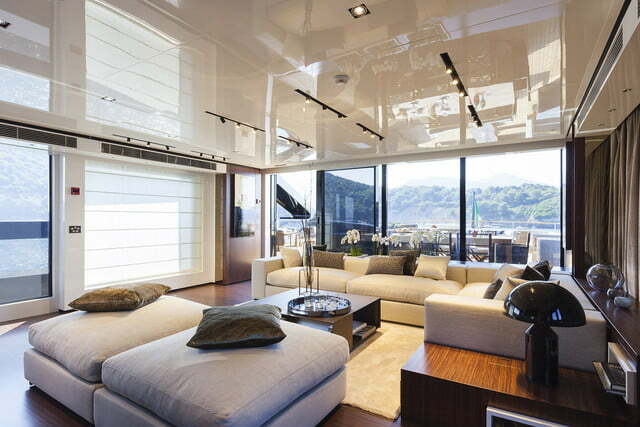 Atypical trapeze-shaped hull windows alternate with rectangular ones to emphasize the yacht’s narrow shape. 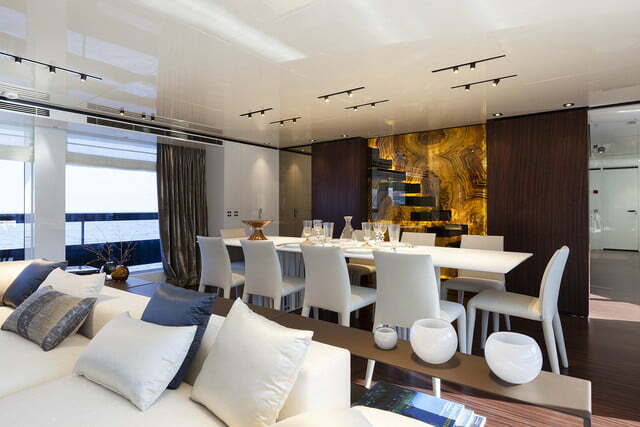 Most superyachts are built high, with multiple decks and elaborate superstructures. 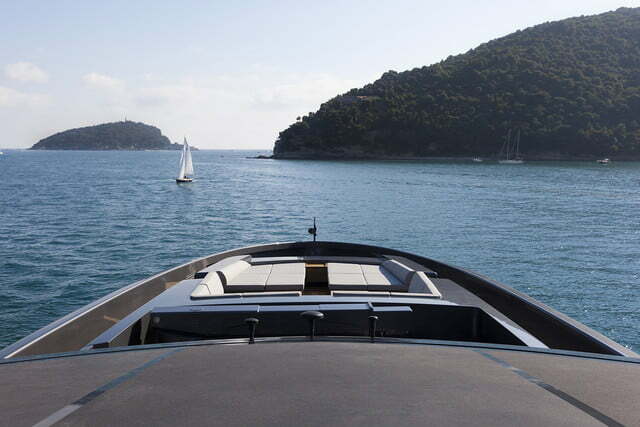 The Lucky Me’s superstructure, however, was designed to enhance performance with its compact shape. So not only does the boat’s hull have less water resistance than displacement hull designs, but the upper decks don’t have as much air resistance as typical superyachts. The Lucky Me has an aluminum hull and superstructure. Lucky Me has four decks with room for 12 guests and 10 crew members. 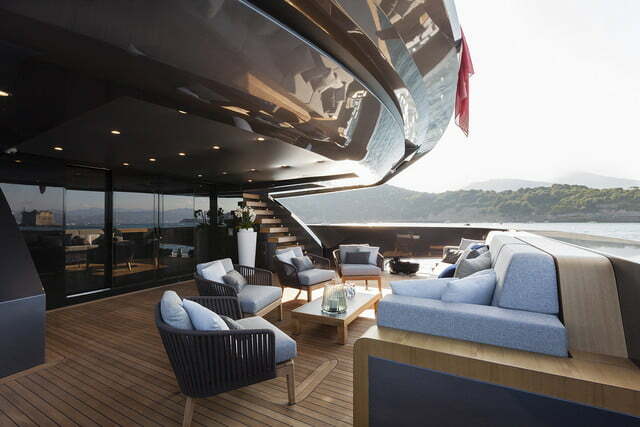 The top sundeck is for lounging and catching the sun. That’s also where the ship’s tender is stored. 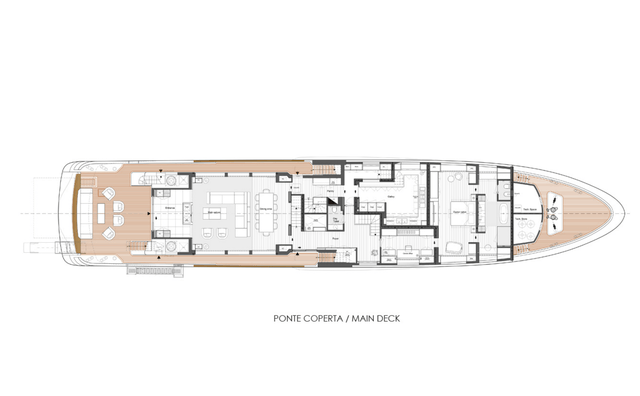 The upper deck has the wheelhouse and captain’s cabin, a pantry, passenger lounging areas, and outdoor dining. 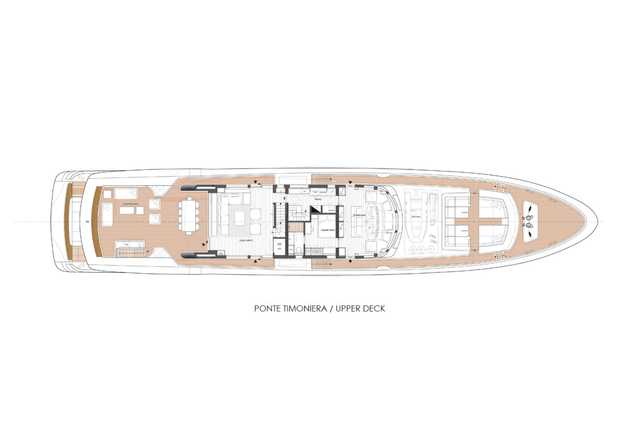 The lower deck has the crew’s quarters forward with four twin cabins, a single for the ship’s engineer, and a dinette. 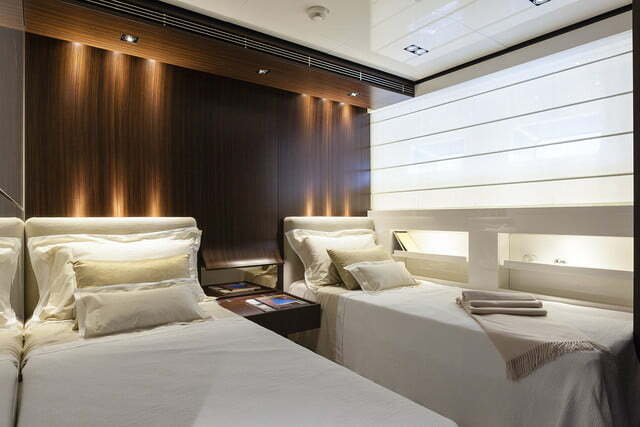 Four guest staterooms include two doubles and two rooms with twin beds and pullmans for a third person. 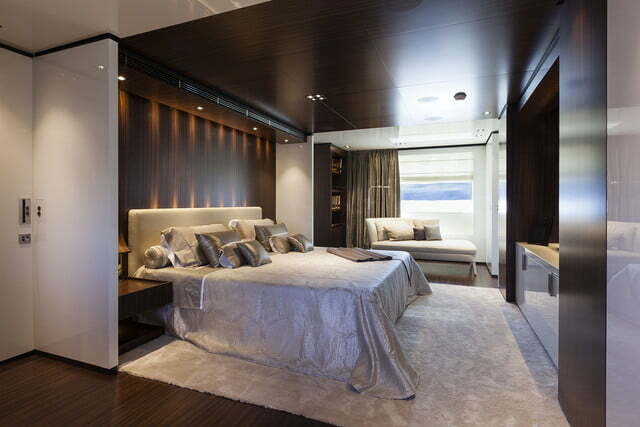 All guest staterooms are en suite. 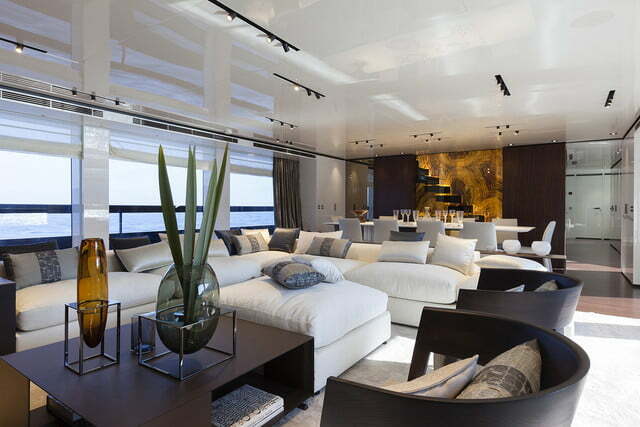 The same level also houses the yacht’s engines, generators, and other mechanicals. While the Lucky Me’s selling price is withheld, the new owner is a three-time Baglietto customer. His previous superyacht, a 136-foot Baglietto also named Lucky Me, is currently for sale for $10,823,670.